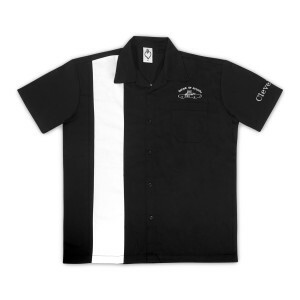 The HOB Bowler J&E Blk shirt is a classic 80% polyester & 20% cotton black and white bowler shirt with city drop. Above the left hand pocket, the shirt features an embroidered “House of Blues” script and the blues mobile. 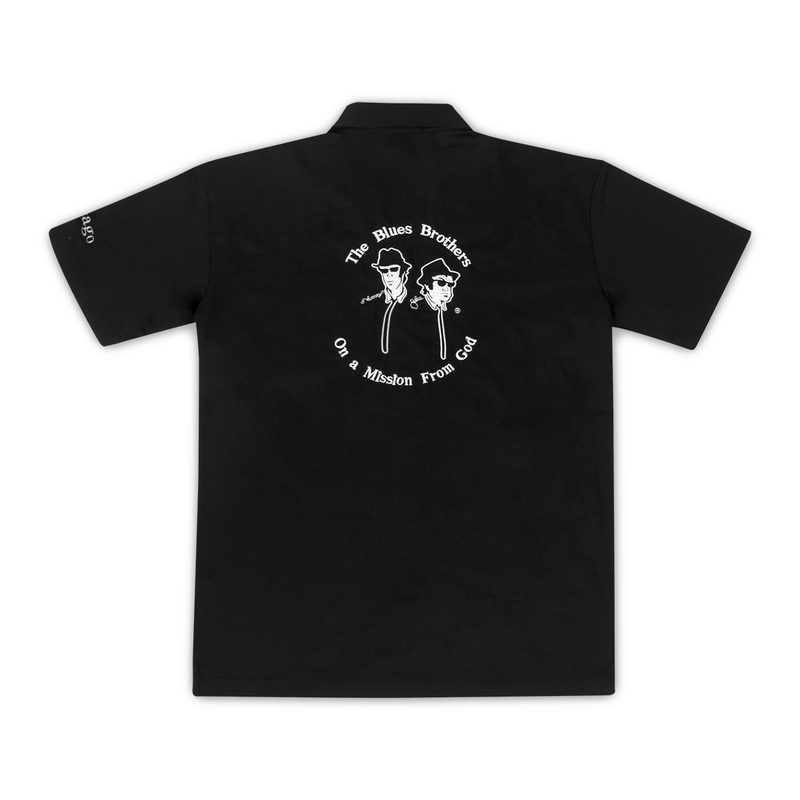 The back features the white Blue’s Brothers logo. Perfect for a rockin’ bowling party or every day Dad wear. Washing: Machine wash warm, inside out. No-Nos: Avoid using bleach, do not dry clean, and do not iron.